At present, Ainur rank among the most important authors of Tolkien-inspired musical productions, as their CDs are aimed at transposing J. R. R. Tolkien's work, The Silmarillion, into music. After their first two works, "From Ancient Times" (2006) and "Children of Hùrin" (2007), both produced by Beppe Crovella and Electromantic Music, here comes "Lay of Leithian". The CD will be wholly devoted to one of th greatest epics by J. R. R. Tolkine, written entirely in verse form and unfortunately never completed: The tale of Beren and Luthien. The composers, Luca and Marco Catalano, Gianluca Castelli, Alessandro Armuschio, Simoe Del Savio, Vilma Collo ed Elena Richetta always adopt an orchestra-like approahc, with the juxtaposition of classical instrument and moder electrical instruments, touching on various genres and different musical sonorities n order to re-create the whole mythology and cosmogony of J. R. R. Tolkien. Over time, in addition to the permanent line-up of 19 members, Ainur's CDs have featured several guest performes such as the Orchesta I Musici di San Carlo conducted by Edoardo Narbona; Alessandro Cammilli from the Teatro Regio of Turin, Alan Brunetta, Ferdinando Catalano and many others. Ainur like to describe their work as a concept work, a series of concept albums forming one great project devoted to The Silmarillion. - Myths, legends, fairytales and SF are often inspiration for musicians in progressive rock. One of the most popular subjects is the work of famous author J.H.R. Tolkien, this double CD by Italian formation Ainur is another example in an endless row. 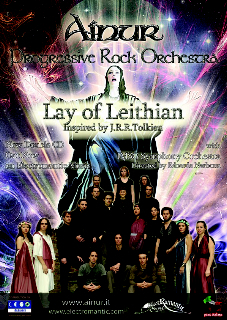 On Lay Of Leithan the band has decided to do it on a large scale: 3 storytellers,12 different vocalists, a symphonic orchestra and many musicians on a varied instrumentation. - The music on the 25 tracks is a dynamic blend of classical and rock in which the climates change frequently: classical orchestrations in the titletrack, teanging acoustic guitar, violin, harp and a sensitive electric guitar solo in Coming To Doriath, slide guitar and bombastic Hammond organ in Daeron’s Betrayal, a mid-tempo with solos on violin, piano, acoustic guitar and organ in Hirilorn, propulsive guitar riffs, fat Minimoog synthesizer flights, powerful vocals and a fiery guiar solo in Towards Nargothrond, from mellow with acoustic guitar and violin to an exciting accellaration with heavy guitar riffs, fat Minimoog runs, brass and high pitches female vocals in The Hound Of Valinor, sensational Hammond and Minimoog with propulsive guitar riffs in Carcharoth, an exciting blend of classical and rock with violins and flashy Minimoog flights in Hell’s Awakening and from tender Grand piano and dreamy vocals to fat guitar riffs, strong flute play and a dynamic rhythm-section. The epic final composition (almost 20 minutes) starts promising with lots of vocalists, wonderful Grand piano and moving electric guitar but after 9 minutes there’s complete silence until the final half minute, then we hear narration and it’s over, a bit disappointing musical idea to let the proghead listen to such a long silence! 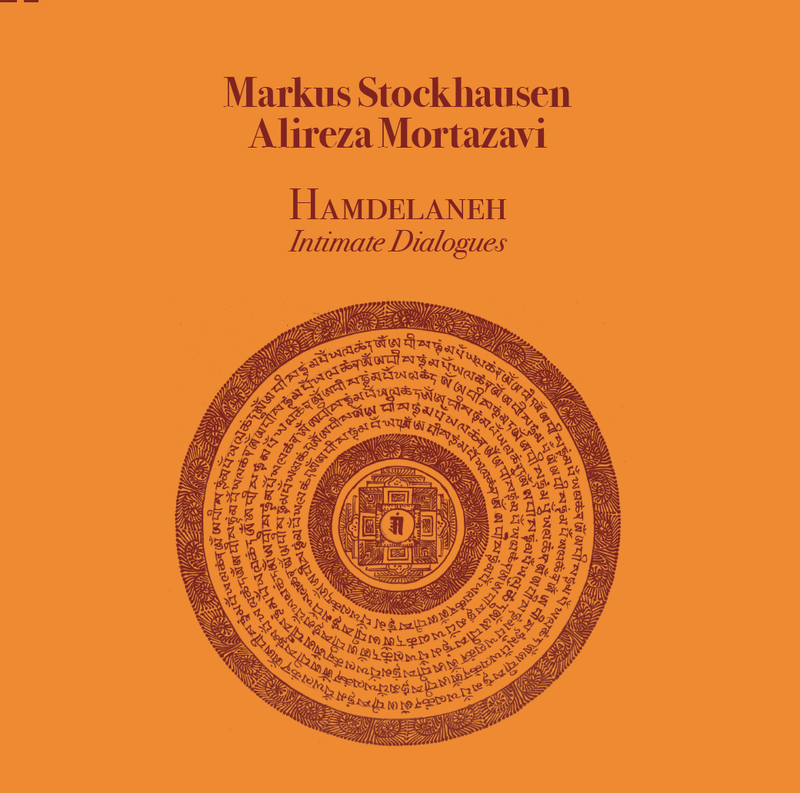 - Although at some moments my attention slips a bit away (due to the fact that some climates tend to sound a bit too similar), I enjoyed this 2-CD because of the tension between the mellow parts with classical instruments and the heavy and bombastic parts and the exciting work on guitar and vintage keyboards like the Hammond organ and Minimoog synthesizer.